I am saddened to say that Professor Lewis Binford, the father of ‘New Archaeology’ and a man whom every archaeologist has cited at least once in their life, has passed away. 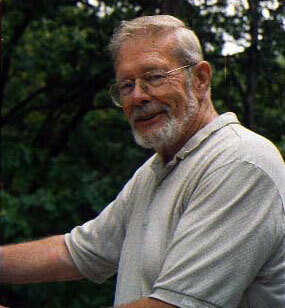 Lewis Roberts Binford was born on 21 November, 1930. He graduated from the University of North Carolina (Bachelors), and the University of Michigan (Masters and PhD). Lewis Binford was a pioneer in the ‘New Archaeology’ movement of the 1960s. His vision for a scientific approach to archaeology led the discipline away from the cataloguing of cultural histories to the use of scientific methods aimed at explaining cultural processes and site formation processes. Binford’s academic career was based at the University of New Mexico and subsequently at Southern Methodist University. He was an inspiring, committed researcher and a kind and generous teacher. Just as we were intellectually enriched by his existence, so we are intellectually poorer through his passing. He was was one of archaeology’s great minds. Professor Binford is survived by his daughter, Martha, and his wife and co-researcher, Amber Johnson. 1968 New Perspectives in Archaeology. Co-edited with S.R. Binford, Aldine Publishing Company, Chicago. 1981 Bones: Ancient Men & Modern Myths. Academic Press, London. ← Is It Possible to “Collect” Antiquities These Days?